A year ago today, Portraits of Prose was published and released for sale on Amazon and Kindle. Portraits of Prose is a collection of compelling short stories, each with the power to draw you in and leave a lasting impression. Each tale is concise, unique and well sustained and there is sincerity and feeling in every word. Whether it be the emotionally driven ’30 Seconds’, the intense and disturbing ‘Sinister Justice’ or the touching and tender ‘Like Mother, Like Daughter’, there is something for everyone in this book. With their lovely easy to read style, these insightful stories engage the reader from the first paragraph to the last. 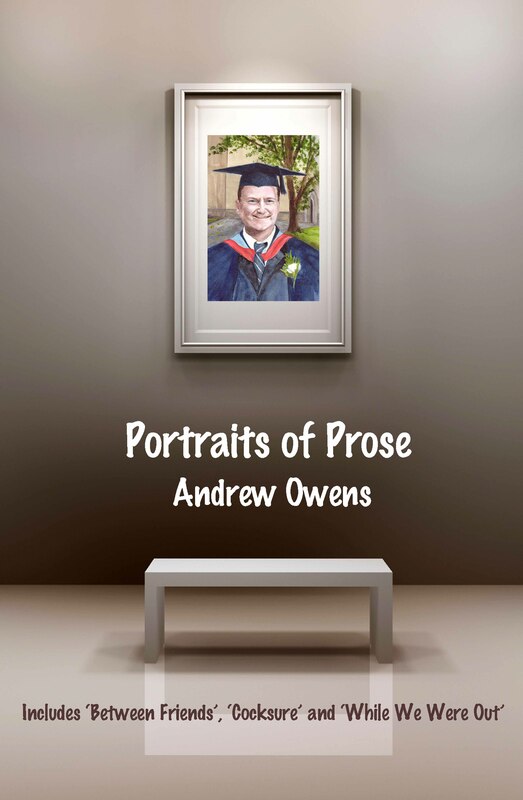 Andrew Owens’ collection of 32 short stories was compiled and published by Black Pear Press. This month’s ‘Story of the Month’ features one of the stories from this collection ‘No Strings Attached’.